When it comes to budgeting, most people think of saving money. A good budget is organized, planned, and frugal where you can be. However, there are some items in your budget that benefit from more money put in. 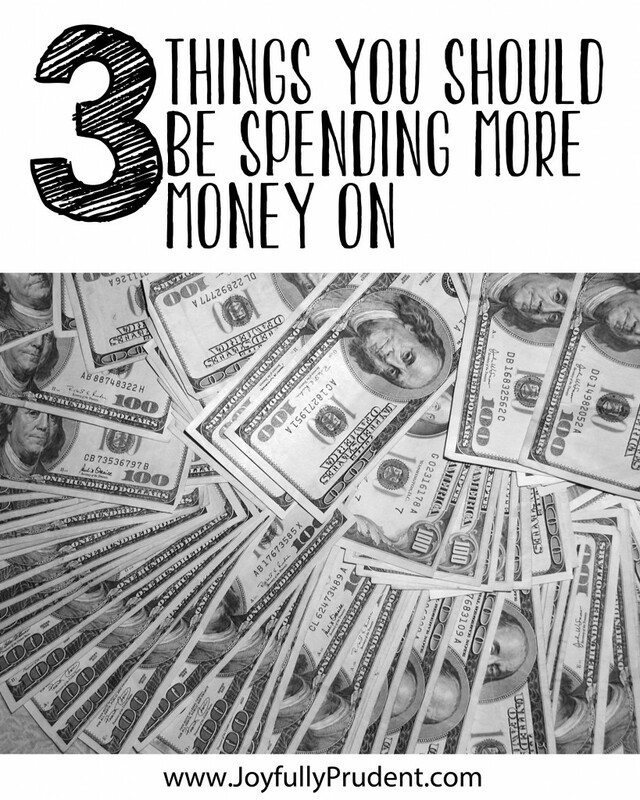 These are the top 3 things, we spend more money on in our budget. Debt is such a financial killer on so many levels. Not only does it force you to pay more for something you purchased (sometimes even thousands of dollars more), it prevents you from making money, especially compounded interest on investments. Bottom line, you must eliminate debt! All that said, don’t wreck your budget or go into debt elsewhere to pay off your house. 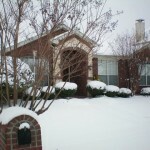 Since it took us 33 months to pay off our 15 year mortgage, we only spent $11,000 in interest on our home. Therefore, we’ve made a ton of money on our house so far (it’s appreciated about $75,000 in 9 years), and more importantly, we’ve made a ton of money in investments with that money we’d be using for a mortgage right now. Note: Paying off your mortgage should come after the next 3 things I mention, but I still advocate paying it off quickly. 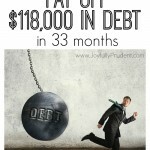 It’s well worth a larger amount of your income going to debt! These were the best ways we saved money while paying off our mortgage (applies to other debt of course). I wrote a post titled 5 tips for living on one income (teacher’s salary), and the fourth tip included having a savings account. When unexpected emergencies come up, a savings account keeps you out of debt, especially when you’re trying to pay off debt. It’s recommended to have $1,000 for emergencies and 3-6 months salary in case of a job loss. If you don’t have one, try and allocate more money towards this category as fast as you can (at least the $1,000). I also included tithe for those whose beliefs align with this. For us, this is extremely important to us and an investment that is really unbeatable. A tithe is 10% of your income, so this will be a large chunk of your salary, but we believe it’s something we should be spending more money on in our budget. If you don’t have a savings, or an adequate amount, spend more money on this. If you’re like me, this one is hard. I want to see what my money has bought. Investments are future oriented and the pay off is down the road…often times, a long ways down the road. BUT, and that is a big BUT, I would argue (aside from tithe), this is the most important category in our budget. And it’s crazy what such a little amount can do for your future. I’m talking millionaire! That may sound outrageous, but you’ll actually need close to that, if not more, to live several years of retirement on. The earlier you start, the better. Time outweighs actually money when it comes to investments. 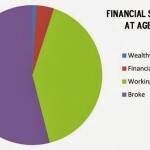 A 20 year old can invest a much smaller amount than a 40 year old and still make more money at 65! Time is your friend, so get on it. And spend more money on this if you’re not already. Dave Ramsey sums it up well in his explanation of how much and where to invest here. Lastly, I’m going to throw in an additional one that I believe is important. College! I would save for retirement first before college, but definitely recommend spending more on college if you’re not already. I’ve actually heard controversial conversations about this category of budgeting (understandably so if you’re on a tight budget), but it boils down to your personal views of college if you can allocate money towards this. Really weigh the consequences for both you and your children if nothing is saved for college. I’ve seen student loans absolutely destroy personal finances for people (both parents and students). Any bit helps to eliminate loans. Overwhelmed with “what you should be spending more money on”? Don’t be. Start with the debt! Analyze your budget and see where your spending most of your money. I did this in college for the first time and it opened my eyes to the importance of writing everything down. Make sure to come back on Friday for a super fun giveaway! A bunch of my favorites you won’t want to miss! 4 Types of People at Age 65: Which One Are YOU? Mortgage: 15 Year Note or 30 Year Note? Ugh! The retirement one always gets me. I’m totally with you-on wanting to see what we’re getting for the money. I love your argument that mortgage debt is not “good”! 🙂 it’s a great reminder and reality check. Love this! NO debt! I once heard if you have any debt, anything you buy is on credit. Have a student loan? 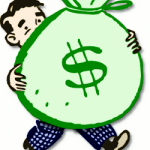 That shirt/starbucks/throw pillow you’re buying with cash is actually money you’re being loaned. This really hit home for me! Wow, that’s actually a good way to think of it…and true! Thanks for the perspective!